Over the past 20 years the Calgary International Airport has more than doubled in size and passenger volume. In order to meet the growing demand, the Calgary Airport Authority has undertaken a $2 billion expansion program, the largest and most ambitious expansion in its history. The runway development project consisted of a 14,000 ft. long and 200 ft. wide runway which makes it Canada’s longest runway. With the construction of this new runway, they required more room for maintenance equipment, storage and offices. Williams Engineering Canada (WEC) was retained by Sahuri Architecture to complete the structural design of the new airport maintenance facilities. The new Airport Maintenance Center (AMC) project consisted of four maintenance bays, a new storage area, and a new two storey office building which is approximately 2800-square-metres. Because of grading around the building site, retaining walls were required to facilitate vehicle circulation around the new building. 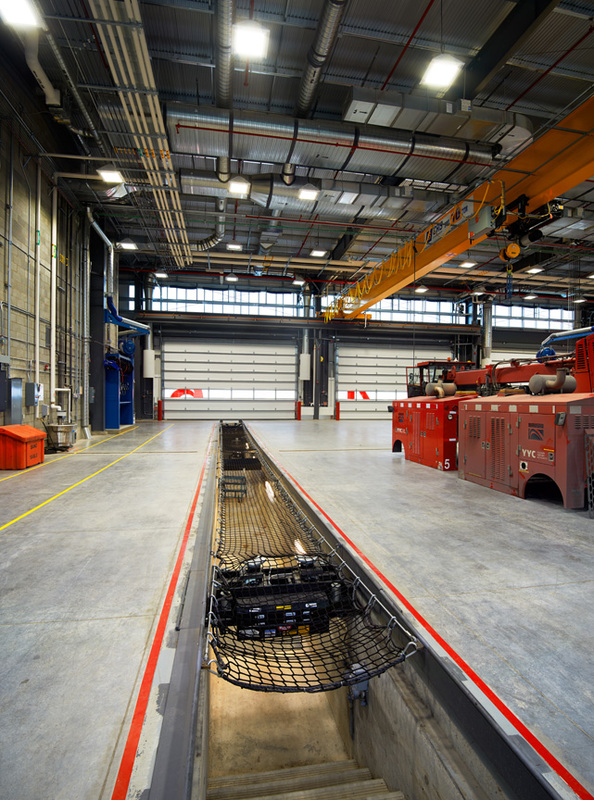 In addition to the center, the existing snow removal equipment facility was expanded to include five new bays to store new Vammas vehicles. The challenges we faced for both these projects included facilitating ongoing airport operation requirements, airside security restrictions and avoiding existing underground utilities. To minimize airport disruptions, fast track construction was critical for the site construction time of the super steel structure. Utilizing a steel structure allowed most components to be built off site. A pile foundation allowed foundations to bridge over existing utility lines. WEC was proud to be a part of this ambitious and important airport expansion that will better serve the residents of Calgary and southern Alberta.